'Most spoken language' as the National language - Acceptable? Group Discussion Ideas > General GD Topics > ‘Most spoken language’ as the National language – Acceptable? ‘Most spoken language’ as the National language – Acceptable? Till now, there is no National language for India. And there are 2 official languages – English and Hindi. From 1960s, there have been attempts to impose Hindi on non-Hindi speaking states. There were widespread protests against the imposition of Hindi. Several ministers termed Hindi as ‘Rastra Basha’, which means National language. In June 2017, Central government announced that passports would now be in both Hindi and English. Recently President approved several recommendations of Parliamentary committee on official languages. Issuing government circulars in Hindi, making Hindi compulsory in CBSE schools are some among them. Hindi is spoken by more than half of India. As no single language is spoken by entire India, it is much better to make majoritarian language as the national language. English is not native to India, but Hindi is. Almost half of India’s mother tongue is not Hindi. 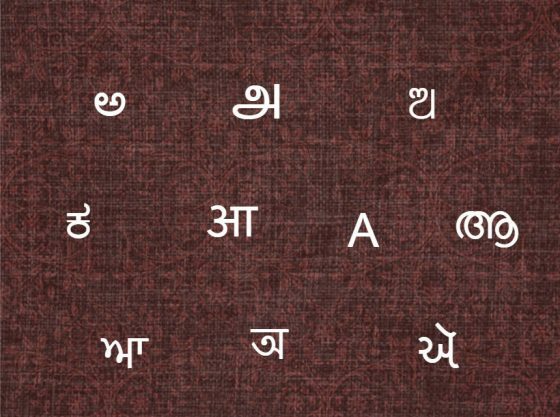 There are 22 officially recognized regional languages in India. Making majoritarian language as national language is unconstitutional. English is an International language and is spoken by most of the Indians. There are widespread protests against imposition of Hindi because non-Hindi speaking states are much more comfortable with English than Hindi. Several Indian languages already dying because of increasing usage of English. If Hindi is also compulsory, importance for mother tongue will be reduced further. Non-Hindi speaking states at least accepted Hindi as another official language besides English. But attempts to replace English with Hindi and trying to make it as the sole official language will threaten the unity of India. Imposing majoritarian ideals on others is against to the fundamental rights of our constitution. Afterwords :- What is your take on this topic? Express your thoughts in the comment section below. Subscribe to our blog to get new topics delivered to your mail. one should not impose any language , as we are known for our diverse culture religion language and taste.